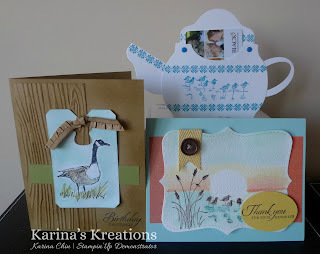 Karina's Kreations: Stampin'Up Really Good Greetings! I had an amazing time at convention this year and earned a spot at Founder's Circle! I get to go on trip to St. George Utah with 119 other demonstrators! Yeah!!! So a huge thank you to all my friends and downline who supported me this year!!! I couldn't have done it with you!!! 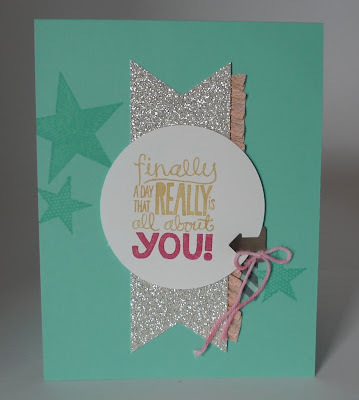 This was a congratulations card that I received from Stampin'Up! I loved it so much I wanted to share it with you! This card would be perfect for a friend or loved one. Notice that the baker's twine is a Strawberry Crush color? Lay the Baker's twine over the Strawberry Slush ink pad. 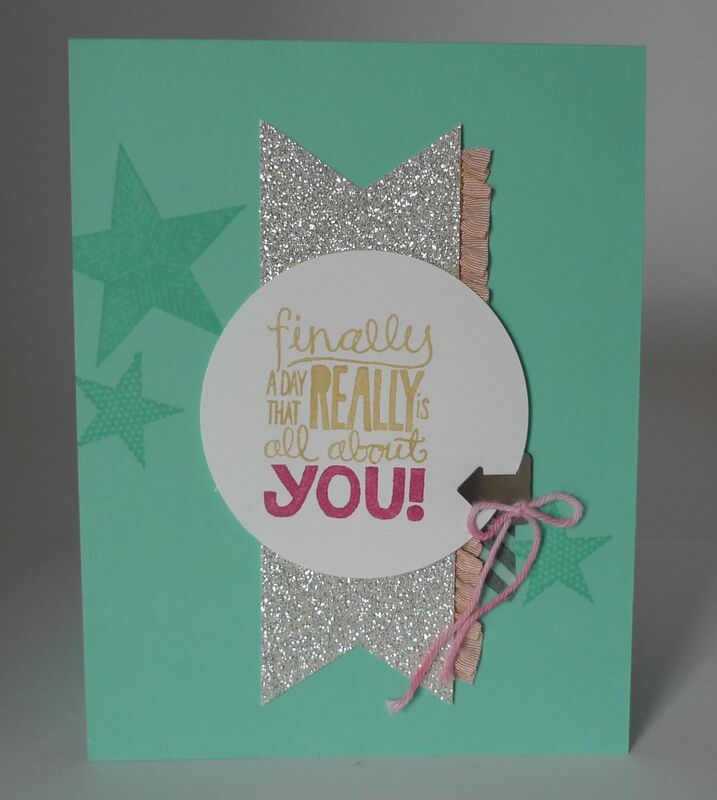 Hold it down with a Stampin' Sponge and drag it through the ink until you reach your desired color. 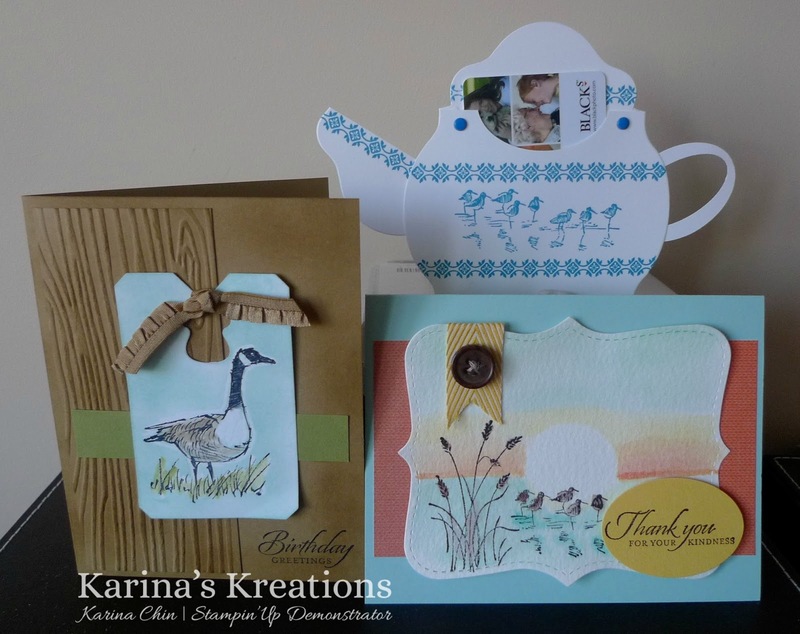 Sign up by August 5th to get the Wetlands Stamp Set of the Month! Email me at kchin2@telus.net.